This page contains information for small and medium enterprises (SMEs) that are aspiring to use silicon photonics in their products. Photonic integrated circuits (PIC) can offer innovative solutions for a variety of applications ranging from biosensors to fiber-to-the-home (FTTH). Still, industrial players often feel restrained to invest in this type of novel technology due to e.g. missing expertise or high initial development costs. This slows down the uptake of these PICs in innovating products. 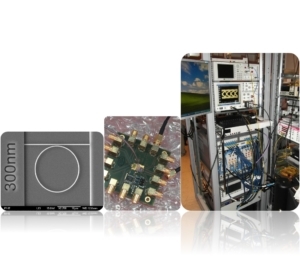 To stimulate the use of recent photonics technologies, the European project ACTPHAST was initiated (http://www.actphast.eu). Within ACTPHAST, companies can collaborate with photonics experts in short-term focused projects that solve a specific photonic challenge. The photonics experts will share their facilities and expertise in seven different technology platforms such as Silicon photonics. In addition, ACTPHAST foresees a financial budget to support these innovation projects such that for SME’s there is no cost involved for the company. This way, ACTPHAST offers companies a new and attractive route for innovation. If you face a design, fabrication or optical characterization challenge in the field of Silicon photonics, you can directly contact Eva Ryckeboer from the Photonics Research Group at Ghent University-imec. They will assist you in setting up a new innovation project in the framework of ACTPHAST.